The U.S. Web Design Standards are a library of design guidelines and code to help government developers quickly create trustworthy, accessible, and consistent digital government services. Last month, we announced the 1.0 release of the Standards, a milestone that signals the Standards are a stable, trustworthy resource for government designers and developers. By using the well-tested and easy-to-implement code from the Standards, developers can quickly create new websites or have a leg-up in updating existing services to have a modern, consistent feel. It includes code and guidelines for forms, typography, buttons, alerts, and more. The Standards are open source and free to use, but our team is also available to work closely with federal agencies to develop custom features or train teams on implementing the Standards. 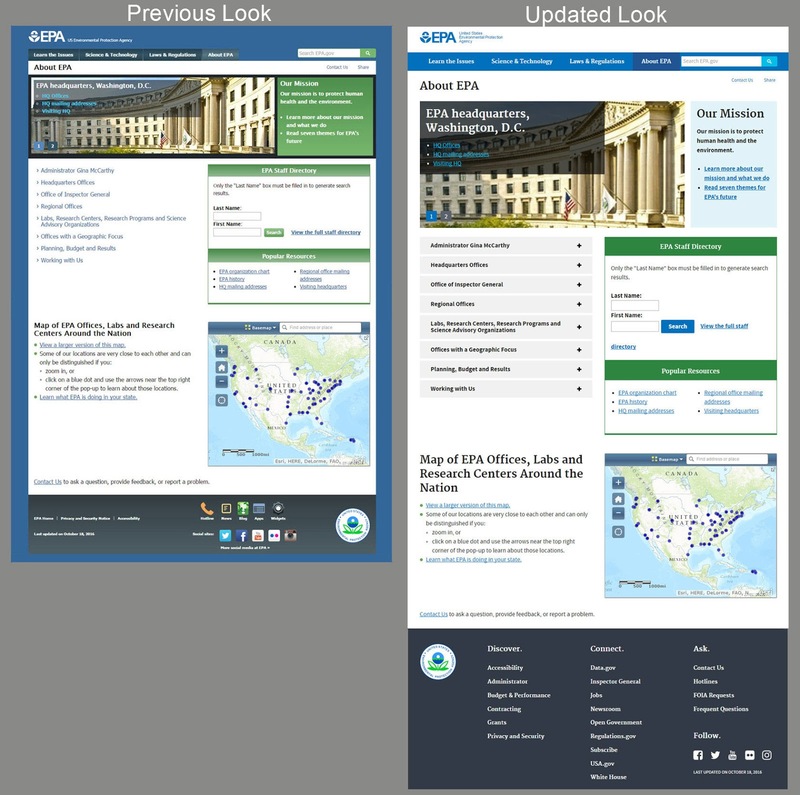 The Environmental Protection Agency used the Standards to redesign epa.gov. With this launch, federal agencies should feel confident to use the Standards — and just to clarify they are not an official requirement for agencies — you can use as much or as little as you chose. The Standards are already used on more than 100 sites and services that collectively reach almost 20 million users per month. This release is the culmination of more than a year and a half of design and development through more than 20 versions. Having said that, as the ancient proverb says, “the garden is never finished,” and we’re going to continue to develop and expand the platform’s capabilities. We’re well on our way to completing our product roadmap, and we’re looking to expand with more mobile performance-optimized components and continued user research to guide our future product decisions. We’re also looking at building more advanced components like mapping and data visualization. If you or your agency are interested in training or custom development, email our team. We’re happy to talk through what we can offer, the process of working with 18F, and how these Standards can help you save money and provide better services to the public. If you’ve got more general questions, you can join us in our new public Slack channel for the Standards.